One of the big items in the news recently has been the eruption of Kilauea on the Big Island of Hawaii. 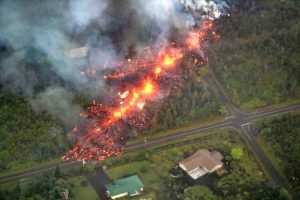 It’s not that the eruption of Kilauea is something new as it has been in an eruptive mode for many years spilling lava into the Pacific Ocean and making the Big Island bigger. This time the lava has been erupting along what’s called a ‘Rift’ or crack in the earth some distance away from the actual summit of the volcano and impacting populated regions of the island. The below picture shows how cracks in the earth have opened up spilling lava onto the land, covering roads and destroying structures and flowing into the ocean. Kilauea is unlike the volcanos we have here in the Pacific Northwest…It’s what’s called a ‘Shield Volcano’….Much like a large dome with gently sloping sides. The shape of it, unlike our steep volcanos, is due to the type of lava they have there….Very ‘runny’. A type that spreads out across the land rather than building mountains. 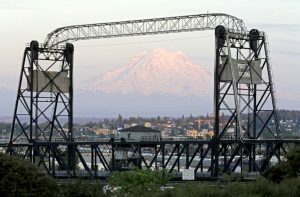 The story featured pictures of many of the well-known mountains including the one 0f Mt Rainier as viewed through the, landmark, 11th Street Bridge in Tacoma. Mt Rainier has long been mentioned as being one of the most dangerous volcano’s and has been subject of a number of stories on TV and in Print. What is perhaps not well known is that the danger from Mt Rainier is not from flowing lava, like Hawaii, but rather from large land-slides called Lahars. We have an extensive warning system set up to monitor for just such an event that is tied into our EAS system here in this area. In fact, the Earthquake EAS Event Code came from the work of Washington State Emergency Management. Another little-known fact is that the towns of Enumclaw, Orting, Puyallup, Sumner and Auburn are all built on top of material that, long ago, slid off Mt Rainier. https://pnsn.org/volcanoes. Checking this site on May 26th I learned that Mt St Helens has had 130 earthquakes in the last 30 days. Will T-Mobile and Sprint really come together as one? Will there be a $26 Billion Dollar deal that will create a formidable competitor to AT&T and Verizon that will be based in the Seattle Area with some 100 million customers? Whereas we have heard this before, I guess we will have to wait and see what happens. One of the big topics in the world of wireless is 5G. Those promoting the latest ‘G-Whiz’ system are promising lightning fast speeds designed to thrill the makers of wireless gizmo’s who see this as a pathway to even greater profits. So where are they going to get all the spectrum for this new technology? The FCC announced last year that it is looking at the band of frequencies between 3.7 and 4.2 GHz….Hardly anyone is using it now  Just a bunch of broadcasters !! On the surface there does not appear to many because the existing transmitters are in orbit and the receivers are scattered about here and there…and who knows how many there are? Therein lies one of the problems. The FCC’s lack of knowledge of where the receivers are located because many of the owners of them did not feel a need to tell the Commish where they were!. Afterall – Who cares where the receivers are ….Right? In this case broadcasting is being asked share the spectrum with other users spectrum….FCC Chairman, Pai, put it this way – He wants to ‘make more intensive use of the spectrum’. The decision is likely to come soon, perhaps in July. This sounds like another chapter from the old 2Gig battle of several years ago. Broadcasters would be careful to license their 2 Gig transmitters but did not feel the need to make sure the locations and azimuth of their companion receivers were known. Not to mention those 2Gig systems with rotatable receive systems using with ENG. That was another scramble to get those receivers locations made known to the regulators. Now it’s up to the Sat Receiver owners to stand up and be heard. Funny, in the process, there are those that are whining about the cost of doing it. Let’s face it, in this day and age when others want the spectrum that you thought was yours…you’d better be ready to ‘Pay for Protection’. Has a funny ring to it, does it not? Typing the word protection reminds me of another topic – Robo-Calls. I don’t know anyone that is not receiving those annoying calls these days. Most of them call my cell phone with only a few to the home land-line. I find, perhaps, the most amusing is the one, supposedly, coming from the IRS that informs me that there is a warrant out for my arrest and how they are going to call ‘The Cops’ if I don’t call them back. Of course, there are those that promised to lower your credit card balance or offer a free vacation to the Bahama’s etc. It was a number of years ago that I first experienced ‘number spoofing’ (The ability of the ‘perp’ to make your phone display a number that makes you think you should answer it) In that case it was the ‘front-desk’ number from a client – So I answered thinking is was a business call….It was not. Just the other day I experiences a different variation. The caller used my own Cellphone number…My (not-too) smartphone looked at the number and displayed MY NAME. Whereas I don’t often call myself I knew what was going on. I played along as long as I could and heard in the background a rather young sounding voice chuckling. This issue has gotten the attention of many who are turning to lawmakers for relief. Caught a recent news story about the matter where the report played back some very familiar pitches (Including the IRS lady)…They then reported on some firms that are selling means to block these calls. What struck me was that some of these outfits could be connected to those making the calls. …A classic ‘Protection Racket’. The sad part about all of this is the fact that if people were not falling for the scam, and calling them providing credit card info etc. there would be no profit and the scam would dry-up. The bottom line is that that there are thousands out there that are encouraging this kind of behavior proving, once again, that P.T. was very correct about a sucker being born every minute. The term ‘Smart Watch’ seems logical, especially compared to the old ‘flip-phone’ but who would have thought that we’d have ‘Smart Speakers’. Come to think of it…When did the term ‘Loudspeaker’ fade away? Were not early day ‘loudspeakers’ designed to reproduce human voices? Perhaps playing music through a ‘speaker’ is a contradiction in terms? …I digress. The Smart Speaker seems to be a great gift to radio – after all it is an audio device. According to a recent survey,…Radio’s biggest users are likely to own one….perhaps 20% now do. In my experience Radio broadcasters have some education to do as many that own smart speakers don’t know that they will function as a radio. I recently read about a radio station that jumped on the name ‘My favorite radio station’. Being the early bird, they are catching all the users of smart speakers that ask their device for ‘My favorite Radio Station. This is nothing new as Radio is historically bad about advertising things enhance the medium. Witness the almost total lack of promotion of HD Radio. Interesting how Radio is getting more active in promoting Podcasting ….Smart Speakers being a natural play-out device for the mode. Remember that these devices are not really radios. They don’t receive OTA Radio signals…but rather use the stations streaming on the Internet. This is where ‘branding’ comes in. Smart Speakers respond to call letters – IF – the stations stream uses their call letters as their brand. Today’s FM stations may well stream their FM Signal as well as several HD Channels…Each one need to have an identifier that the gizmo’s will recognize. Who wudda thunk? What I find interesting is the potential for the technology. Don’t think for a moment that the makers of motor vehicles have not taken notice. Many vehicles today feature voice commands with that feature often associated with vehicular use of cell phones. I know that all I have to do is push one button in my truck and say ‘Call Home’ and it does. Stands to reason that we will soon see the ability to select radio stations using voice commands. This could get interesting with others in your car talking ….or comments you might make about some Bozzo cutting you off! Congratulations on the new set of license plates for Dwight Small. What makes this ‘Ham-Call’ interesting is that the previous owner was Jon Marcinko who passed a couple of years ago. Dwight knew him. Not often that happens. Makes me wonder if someone I know will seek K7CR after I’m gone? Apple earns almost twice as much as the second most profitable company in the U.S.
Their Smartphone generated $48.35 billion in profit in fiscal 2017 and made $13.9 billion in net income during the March 2018 quarter. Compare this to Amazon who has had $9.6 billion in sales since it started. The raging success of Seattle in recent years has recently hit a speed bump in the form of the City’s new ‘Head Tax’ (No, it’s not a tax on toilet use). Taking a page from ‘Robin Hood’ the City has decided to take (Tax) the rich to give to the poor. Remains to be seen whether or not this will continue. A petition drive has been launched to roll back the decision. Probably the more interesting are the remarks of other cities that are openly proclaiming that Seattle is now anti-business while inviting relocation to their town. Even sleepy Tacoma has jumped into the fray by offering to pay an amount equal to Seattle’s Head Tax to companies that would like to move south about 25 miles. 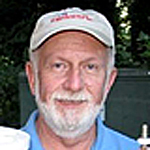 Many of you have read this column on the Web Site ‘Northwest Broadcasters’ hosted by Gord Lansdell and have perhaps missed recent editions. This is because Gord has been dealing with a serious medical issue. He hopes to resume his activities ASAP. Your prays are appreciated. It was back in March of 2014 that a helicopter fell from the roof of the KOMO TV building onto the street below. Now, just over 4 years later, it was announced that KOMO and an aviation contractor have agreed to a $40 Million settlement in the matter. The process revealed a number of things that went wrong….Including ignoring long-standing safety concerns in addition to pilot error. One of the released statements said – It was the wrong pilot with the wrong helicopter landing in the wrong place. Speaking of KOMO- Congratulations to their DOE, Gabe Joseph, who recently mentioned that has accepted a job with Sinclair in Chicago. He said the company had not determined who would be replacing him. Coming soon – The exit from Chapter 11 of Cumulus. Presumably free from a large amount of the debt, It will be interesting to see what happens going forward. It was back in November of last year rhar they filed for voluntary Chapter 11 with nearly $2 Billion in debt. The last WaState SECC Meeting was held in Ellensburg on May 15th. Minutes were posted by Terry Spring soon after to the EAS-WA Remailer. On May 24th there was an EPIS meeting at KIRO-TV. Work is progressing on establishing a VHF Radio system to link the Radio/TV news operations with EOC’s. Testing is scheduled with KCEM to verify that circuit. Phil Johnson is chairing this activity. June 5th there will be a planning session at CPTC to discuss the future of public warning systems of all kinds in our State. The Next SECC Meeting will be July 10th at CPTC (You are invited to attend) Details will be posted on the WaState EAS Remailer. Also in September the next WECCWG Conference will take place, perhaps in Ellensburg, The topic – Public Alert and Warning. Bicoastal Media’s historic KELA in Centralia has a CP for an AM Translator on 101.3. From the FCC data it appears the new emitter will be on Crego Hill (SW of Chehalis) at the same site as their FM, KMNT on 104.3. Remember the application by Pamplin Broadcasting to build a 740 AM near Redmond a few years back? Apparently it’s not going to happen as he CP has been dismissed. Looks like EMF’s operation on 88.1 from Capital Peak is going to be moving to South Mountain (West of Shelton) with 65Kw Direction. Who would have thought that this site would become one of the major FM sites in this area? The folks at Hubbard in Bellevue are also jumping into the AM Translator on FM movement with two applications for their two AM’s. The KIXI (880) translator will be on 92.9 while the KKWN (1150) will be on 96.1. Location for both appears to be their studio building in the Eastgate area. KLAY (1180) in Lakewood is thinking of a translator on 107.3. Site is the AM Transmitter located east of Lakewood near Parkland. KBRC (AM) in Mt Vernon may soon be heard on 102.9. One of the more interesting stories involves the old KOL. If you recall the station moved from Harbor Island to a boat, then to a site in the Tacoma Industrial area. 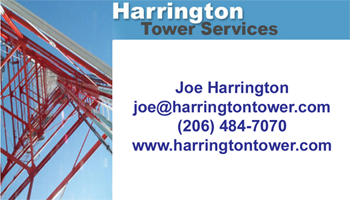 More recently the station went dark with plans to Tri-Plax the Salem AM site on Bainbridge Island…Then the news that Salem has traded 1300 for 860/KPAM in Portland. Not sure how this will Impact the 1300 move to Bainbridge. 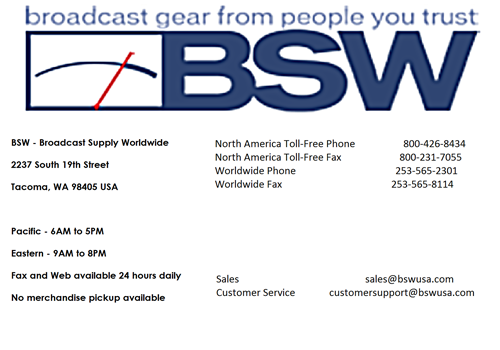 Bustos Media has filed for licenses for several of their KDDS/99.3 Boosters in Kent, Tukwila, and Seattle. Across the pond, news from the UK is that more analog FM stations may be going dark as listening to digital radio has passed the 50% mark. Don’t think we have to worry about this happening here. A political story with a broadcast flavor – Greg Walden, is running for re-election, won his GOP primary recently in Oregon. He previously owned stations in the Columbia Gorge. I should mention that Greg is also a Ham – W7EQI. The May issue of TV Technology has a story titled ‘The Most Dangerous Job in America’. The writer points out how the rush to re-pack may be contributing to the number of accidents. He mentions the recent tower failure at KOZK in Fordland, Mo that took the life of Western Washington based Steve LeMay. The FCC continues to deal with Pirate Radio Stations. 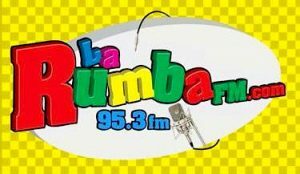 Recently shutting down a Station calling itself ‘LaRumba’ FM and operating on 95.3. Pirate operators have become a lot more brazen these days. No longer a CD Juke-box connected to some cheap little transmitter. These guys operate as if they were licensed. In many case having Web-Sites and selling spots. Now the Commish is getting help from other federal agencies, like the U.S. Marshals Service and is seizing their equipment and going after building owners who permit illegal activities on their rooftops. 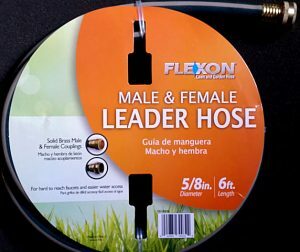 Congress is getting involved in a, perhaps, unique way…with legislation what would require the FCC to make ‘sweeps’ in top markets to rid the airwaves of these unlicensed operations. If would also permit the FCC to levy larger fines. The problem is, as I have pointed out previously, is getting these folks to actually pay them. Major cities are not the only locations for these operations…Witness the fact that the Commish recently tracked down a pirate operator at a Motel in La Grande, Oregon. Usually they yeah-who’ are trying to attract attention. Hard to believe there was much of that going on in La Grande with a population of just over 13,000. Perhaps contributing to the pirate operation in La Grande is the fact that the radio dial is relatively quiet. Just for drill, I looked a Radio Locator who showed 13 vacant channels on the FM dial there. Reportedly there have been 36 pirate-related FCC actions in Oregon between 2003 and April of this year. Compare this to 513 in New York. The Site ‘Radio Locator’ is interesting, but hardly an accurate, or FCC acceptable means of locating a frequency for a radio station. In fact, it may encourage some into thinking that no-one will be bothered with their operation. The Site fails to consider international agreements, adjacent channels etc. For example – The site should 75 vacant FM channels in Forks. Apparently ignoring rules and regulations is not a problem for one pirate station owner…A Pastor of a church in Baton Rouge, Louisiana who was not only operating an unlicensed station on 87.9 …but an AM on 1710. Not often you hear of a pirate AM Station. Perhaps this pirate felt he was given authority from ‘higher authority’? Non-Comm. KUOW claimed the #1 Spot – Perhaps because of shuffling of ratings of those below like KISW and KZOK that enjoyed some modest increases. KRWM, who usually hovers near the top of the heap has not really come back from their Christmas break. Looking at the top 10 – It appears the iHeart is doing very well compared to the other big ownership, Entercom, with four of the top 10 compared to Entercom’s two. Just below the top-10 is KNKX at #11 proving that a Non-Comm. can do well in this market. Speaking of which …Little KEXP beats out 11 other stations whose numbers are lower. I have to admit I don’t understand this one. According to a UK Newspaper article – Schools in the UK are beginning to remove analog clocks from the classroom because students are complaining they can’t read them….They are being replaced with Digital models. The obvious question is – Why don’t they teach them how? – Seems to me that was part of education….Teaching students how to deal with things in life. Over here there are likely many that have no clue what you are saying when you use terms like – Quarter after 3 or half-passed 4 etc. The other challenge involves math- How many can tell how many minutes before the bell-rings when it rings at :58 and the lock reads ;37? Don’t tell me they all have mastered the math. Working in broadcasting where you had to time-breaks and net-work re-join times using an analog clock was easy…Perhaps another sign that I am indeed getting old. In a matter somewhat related…Dwight Small sent me this item – Shure has announced that the discontinuation of their phone products after 90 years. No more needles for that Shure Cartridge! Still no news regarding the future of KCPQ and Joe TV in our town. The most popular rumor remains FOX will be the winner. Should know soon….Or so they keep saying. In another, wait and see, situation involving the Tribune/Sinclair deal ….This time in Chicago. The question of who will end up with legendary WGN Radio. Convention auto repair shops are needing fewer conventional mechanics and more electronic techs providing a great opportunity for employment of former broadcast engineers. With more electric cars on the roads cities (Like Seattle) will discover a new means for income…Combine parking meters with charging stations…and great way to penalize those that have the money to own a Tesla. With all the demand for clean power….Will we, at last, see power generators in the Tacoma Narrows? How about PV Shingles being required so that everyone contributes to the grid? Laws and Case-Law are all on the cloud eliminating many face-to-face meetings with lawyers…of course Google will charge for the service. Judges could be replaced with Alexa too. Medicine is already changing. Today your doctor carries a tablet when he sees you…This is so he can enter your symptoms into his diagnosis software that almost instantly tells him where to look, what tests to order etc. Much of this work will no longer require a highly trained human. All this is done with your new really-smart phone….or Alexa. Are we getting close to having a Tricorder? Identification will change. Everyone can have a chip implanted at birth…Works for Dogs and Cats now. There is enough water in Lake Superior to cover all of North and South America in one foot of liquid. The inventor of the Ouija board lived and died in Baltimore; his tombstone stands as a reflection of his achievement. Only one-third of all $100 bills are actually inside the United States. Now that your head is filled with things you never knew – It’s time to wrap up this column for another month. From the looks of things outside – Summer is here….So get out and enjoy it while you can, remember this is our SHORTEST Season.